The figure, however, is far too less when compared to the number of Indians living abroad and entitled to vote here. NEW DELHI: The number of NRIs registering themselves as 'overseas electors' has seen a two-fold jump in the last three years, latest government and EC data show. 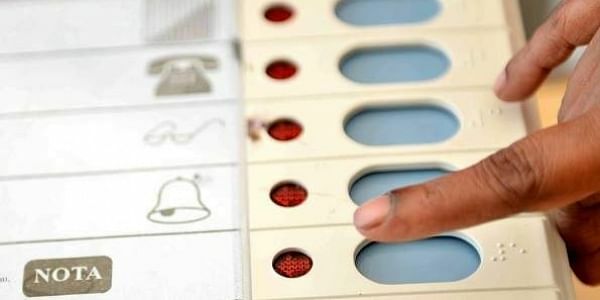 The issue of voting by NRIs in Indian elections is being debated again with the government moving a bill in the Lok Sabha to extend proxy voting rights to them on the lines of service voters. The bill says the necessary provision of coming to India to cast ballot caused "hardship" to overseas electors. As of now, non-resident Indians--essentially people living or working abroad who have not given up their Indian citizenship--can cast their vote in the constituencies they are registered in. This means that they first have to register themselves as voters and then take a long flight to India be present on election day. The hesitation to spend money and make travel plans to vote in India is reflected in the data available with the Election Commission and the government on 'overseas electors'. As on May 2012, there were 1,003,7761 NRIs, according to the report of the multi-agency 'committee for exploring feasibility of alternative options for voting by overseas electors'. Quoting electoral roll data of 2014, the committee said 11,846 people were registered as 'overseas electors'-- 11,140 of them men and only 706 women. The number of registered 'overseas electors' saw a two- fold jump this year. According to a Lok Sabha question answered in writing by Minister of State for Law P P Chaudhary on December 15 in the ongoing Winter Session, a total of 24,348 people are 'overseas electors'. These include 22,428 men and 1,920 women. Though the chart has a column for transgenders, no one has registered. Interestingly, out of 24,348 overseas voters, 23,556 are from Kerala. Thirty-seven are from Delhi. According to the provisions of 'Representation of the People Act (Amendment) Bill, 2017' introduced by Law Minister Ravi Shankar Prasad in the Lower House, overseas Indians who are entitled to vote in India can now appoint a proxy voter to cast their votes. The person authorised as proxy has to be a different person in every election.